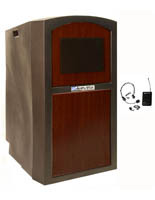 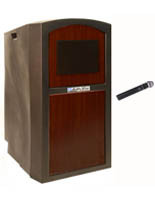 This podium with microphone is capable of linking up to your sound system equipment, making the perfect centerpiece for your classroom, conference room or banquet hall. 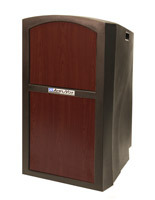 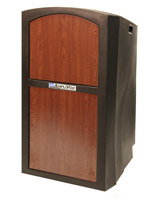 With its weather and waterproof shell, the 63 pound lectern is durable enough to withstand any event, indoor or outdoor. 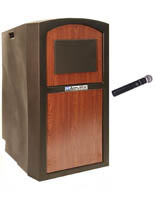 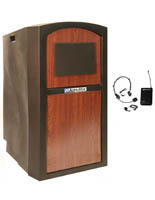 This podium’s gooseneck mic boasts the ability to pick up your voice from up to 20” away. 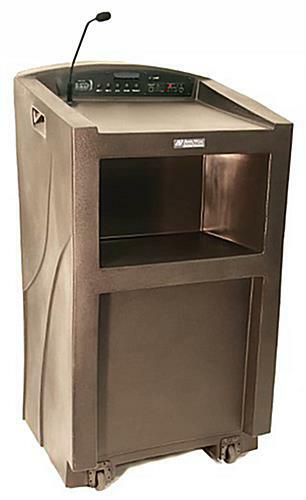 Also included is an 11”h x 19”w x 12”d convenient shelf for storage of paperwork, notes or laptops. 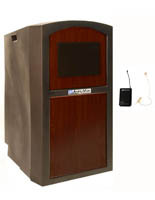 Our podium with mic also has a 25 foot cable and XLR audio output to allow you to connect it to an in-house PA sound system. 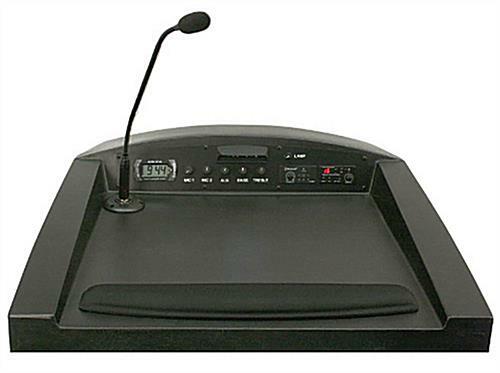 Utilize the digital clock timer, LED light and flat top surface in order to make a presentation at an event, conference or banquet as comfortable as possible with a few extra helpful tools.